Did Obama Admin Created ISIS In 2012? 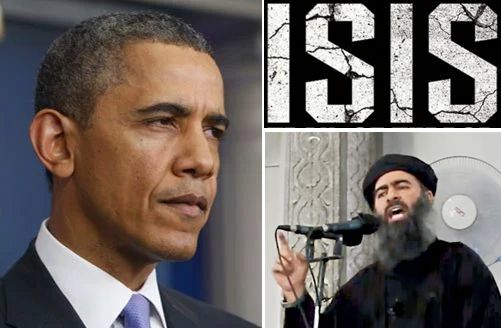 In a report published by the USA Politics Today, it is contended that Obama Admin Created ISIS In 2012 To Use As A ‘Tool’ - the report is based on some declassified documents. The report says that the ISIS was purposely created by the Obama Administration to isolate the Syrian government of President Bashar al-Assad. The documents also predicted that the support given by the West, Turkey and the Persian Gulf Arab states to the Takfiri militants would eventually lead to the establishment of a Salafist Principality in Eastern Syria. The leaked document reveals that in coordination with the Gulf states and Turkey, the West intentionally sponsored violent Islamist groups to destabilize Assad, despite anticipating that doing so could lead to the emergence of an ‘Islamic State’ in Iraq and Syria.